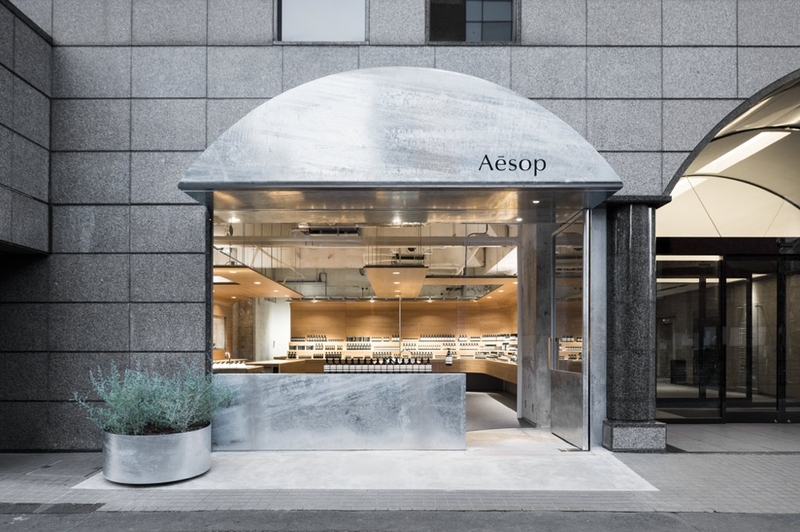 Although already present with a store in Shibuya, one of Tokyo‘s main shopping zones, Aesop recently relocated to new and more spacious premises. Now situated alongside Meiji Dori, one of the area’s most important thoroughfares, on the ground floor of a mixed-use building from the 1980s, the 85 sqm. (915 sq.ft.) 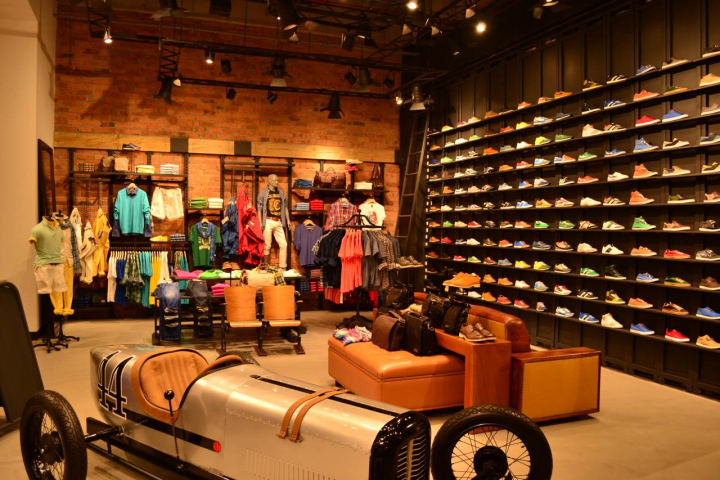 retail space can be accessed directly on street level. 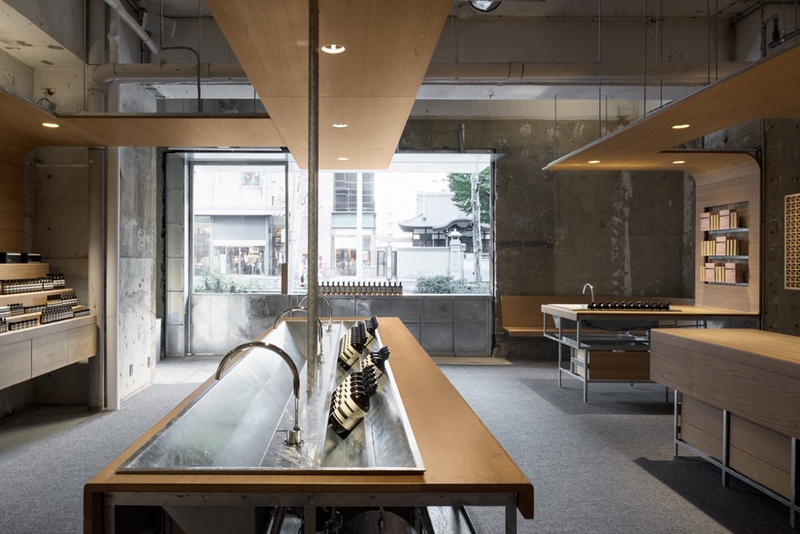 `Similar to the cosmetics brand’s previous store in the neighbourhood, this retail space has been designed by local practice Torafu Architects. The premises were first stripped bare and the exposed concrete shell now serves as a contrasting backdrop of the new setting. 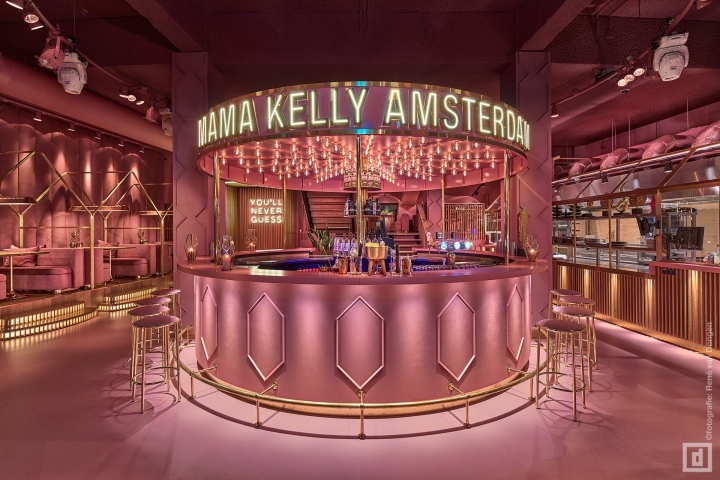 Most furnishings are suspended and interconnected by design, lending the design a distinct lightness, as if it has been inserted into the space. An elongated wooden shelving system swoops across the back and side wall, and incorporates subtle light spots in a curved upper edge to highlight the orderly rows of merchandise below. 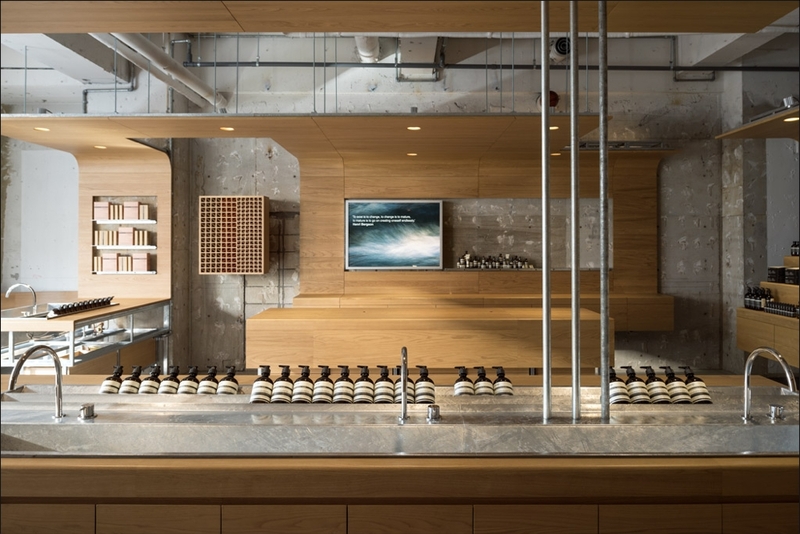 Taking centre stage is a large sink, a signature element of all Aesop stores, is also crafted from wood and has a clearly exposed metal undercarriage that matches the concrete shell. The left side of the boutique sees more more shelving and yet another sink, both interconnected overhead, and with a similar a curved upper edge that incorporated lighting. Seating is offered to shippers by way of a suspended bench in the corner. 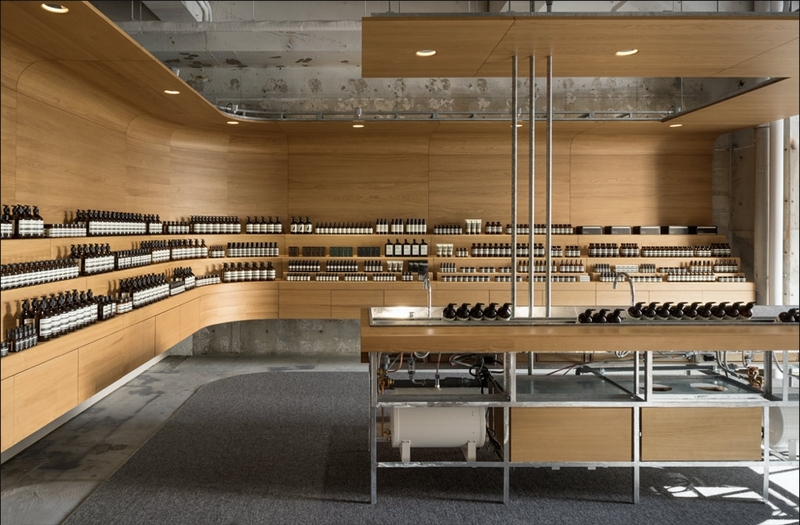 The new Aesop store carries the brand’s full range of skin, hair and body products. Location: JPR Harajuku Building, 6-17-11 Jingumae, Ground Floor (Shibuya).